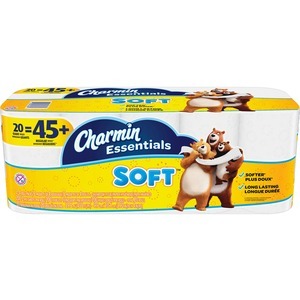 Charmin Essentials Soft toilet paper gives you more of what's essential - more softness in a long-lasting roll. We all go to the bathroom; those who go with Charmin Essentials Soft toilet paper really enjoy the go. Soft tissue is two-ply for more absorbent experience. It is also clog-free and septic-safe.